The Cyntara Development Team is proud to announce that Cyntara v10, season 2 will be released December 30, 2017. This is the second time, ever, that Cyntara will be releasing a major content update in the winter after a major version release the previous summer. During the next three days prior to the release of v10-s2, we will be periodically updating this main news piece to include more information regarding new features players can look forward to seeing this season. We will also release a small teaser displaying what the next updated news piece will contain. With Cyntara v10 we introduced a comprehensive Dungeon System that allows players to participate in dynamic encounters of repeatable mini-quests that yielded rewards, kept highscores, added unique gameplay mechanics, and introduced new challenges that have never been seen in OTserv before. With Cyntara v10-s2, we have not only added new dynamic features to the Dungeon System, added new rewards, and improved on the initial issues faced at the beginning of last season, we have also added an area to the teleport room to help gradually introduce players to the Dungeon System and allow them a free pass to attempt a non-Talisman Dungeon run. 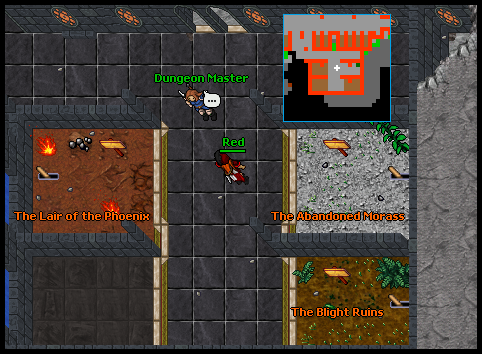 Finally, the Dungeon Master NPC will provide information to players regarding the Dungeon System and its main features. The Dungeon System will now sport a new feature called "Dungeon Mods". Every week, with the Dungeon Talisman reset, the Dungeon System will roll one random "Easy", "Medium", and "Hard" Dungeon Mod that will activate with each Talisman run. Your team will encounter further challenges based on the Dungeon Mod that is selected and the level of your party leader's Dungeon Talisman. Furthermore, your team's stats and active mods will be displayed on the Dungeon Leaderboards page. 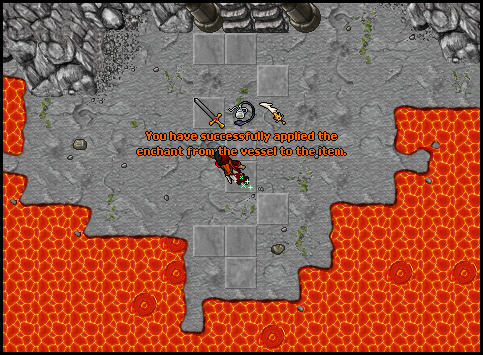 There were many other smaller changes made to the Dungeon System with this update. One notable player suggestion that caught our eye regarding the Dungeon System was a suggestion that requested that we remove the non-Talisman run cooldown and instead impose a daily limit. At this time, non-Talisman runs can be completed 5 times per day rather than once every 4 hours. The daily limit will reset daily at the same time the Dungeon Talisman resets (the Talisman will still only reset weekly). Cyntara will now have a linear progression toward a "best weapon" for all vocations. No longer are the days of players obtaining the best weapon for their vocation on their first day playing; no longer are the days of unobtainable ultimate weapons. The Cyntara Development Team is excited to announce the introduction of Artifact Power and Artifact Weapons! Each vocation will have an Artifact Weapon that can be obtained in-game through a new questline. Once players obtain their Artifact Weapon their Artifact Research will begin and players will be able to progress their Artifact Weapon's ability through the use of Artifact Tokens. Your character's overall strength will increase with your Artifact Weapon's AP level while equipped. There will be numerous ways to obtain Artifact Tokens throughout the gameworld, and these tokens can be used to upgrade your Artifact Weapon's AP. Artifact Weapons are bound to the character that loots the item, and cannot be discarded/traded/dropped in the event of a player death. Furthermore, Artifact Weapons are a jack-of-all-trades weapon for your character's vocation. By typing a command (knights + mages) or simply "using" the weapon (paladins), a knight can switch between weapon classes, a paladin can switch between an Artifact Bow and an Artifact Crossbow, and mages will have the ability to select an elemental damage type for their weapon from a list based on their vocation! Many things have changed since Cyntara was created back in February of 2009; it's no mystery that cosmetic features and features related to personalization are becoming increasingly popular in gaming. We are excited to share a never-before seen feature in OTserv - "Item Transmogrification"! In Season 2 of Cyntara 10, upon unlocking the Transmogrification Ability, players will have the ability to Transmogrify, or transform the appearance of, their equipment at the expense of the item with the original appearance. For example, if you would like to equip a Knight Armor to your character but prefer the appearance of a Golden Armor, you will be able to make your Knight Armor take on the appearance of a Golden Armor, without losing its stats, benefits, or item ID. To see this feature in action, please click on the image to view the Transmogrification video. Items that have been Transmogrified will retain a special description stating the name of the item that the Transmogrified item has taken the appearance of. 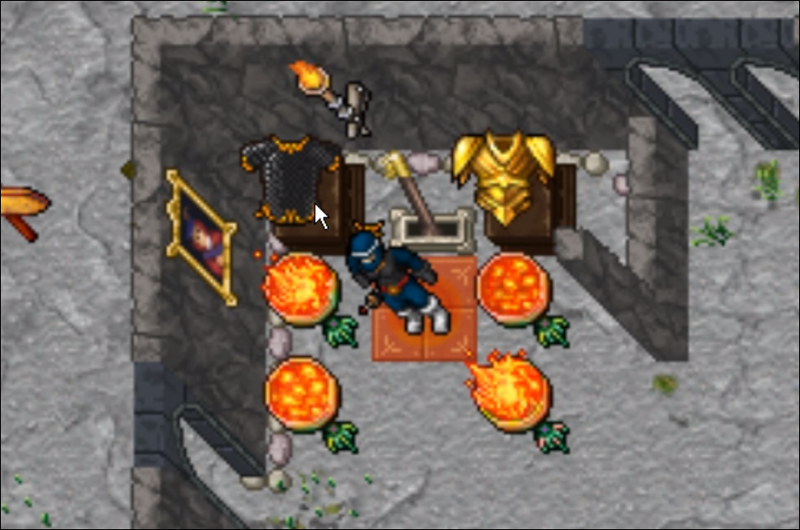 If a player drops a Transmogrified item on the floor, all players will see the item with the new, Transmogrified appearance; players will be able to display these items proudly in their homes. However, if a player attempts to trade a Transmogrified item with another player, the player potentially accepting the trade will see the item's original appearance, not the Transmogrified appearance - this is an important feature to help combat potential scammers. Since the creation of the enchantment system, elemental protection enchantments have been the most pervasive and sought-after enchantment type, often overshadowing the other three types entirely. 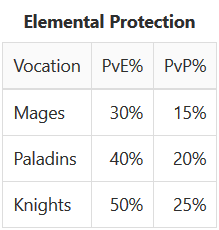 There are numerous sources from which players can receive elemental protection in Cyntara: inherent protection (knights, paladins), base equipment stats, enchantments, charms, and alchemy to name a few. With Cyntara v10-s2 we will see a revamp of the way the server handles elemental protection as a whole. A collection of all elemental protection sources carried by a player will be bundled into one value. Each vocation will have a different maximum elemental protection threshold, and this threshold will differ for damage incurred by PvE damage and PvP damage. If the value of all elemental protection sources exceeds your vocation's maximum threshold, your elemental protection total value will be set to the maximum. Another added bonus with this rework is that the entire system is more robust and easier to handle; for example, in the event of future balancing, these caps can be modified on-the-fly without need to wait for a weekly patch. This teaser will entail a few new tweaks to enchantments, weapons, and enchantment slots. 1. Per another player suggestion, it was brought to our attention that paladins, due to the nature of their vocation, essentially lose an enchantment slot. Cyntara v10-s2 will introduce the ability to add enchantment slots to permanent ammunition. Three types of infinite ammunition will be available to paladins, including: the Crystal Arrow, the Nightfall Arrow, and the Ballistic Arrow. All three types of ammunition will be available in-game through boss loot or questing. 2. We also took special attention to two-handed weapons. After some thorough analysis, it was apparant that the use of two-handed weapons was nearly non-existant in Season 1. To combat this issue, we've decided to make all weapons one-handed, with the exception of bows and crossbows. A lot of weapon stats and monster loot lists were adjusted to account for this change. Our goal with this change is to allow for many more intermediate steps for players to gradually advance their arsenal throughout the progression of their character. 3. Finally, after the completion of a new quest, players will now have the ability to transfer their enchantment slots between two items by using an Enchantment Vessel. Upon using the Enchantment Vessel on your item, you can select one of the applied enchantments to your item and move it onto the Enchantment Vessel. Your item that had its enchantment removed will be given the number of enchantment slots that were formerly occupied. Provided the target item has enough available enchantment slots, you will then be able to use the Enchantment Vessel on any new item to successfully move the enchantment over. Finally, the Cyntara Development Team is excited to share that we will be saying goodbye to the donor sets. 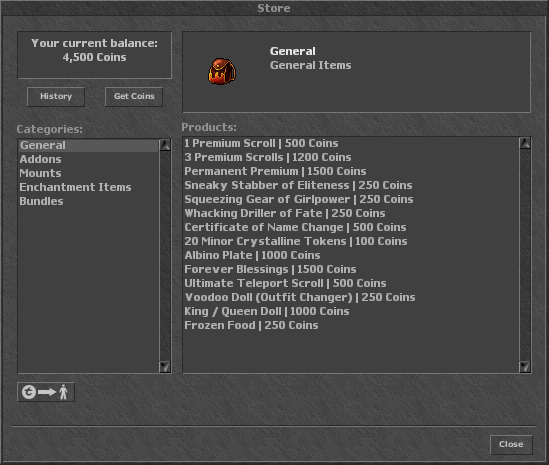 The Development Team is constantly working to improve the balance between the Cyntara Store and the in-game economy. A collective decision was made that in order to improve the quality of Cyntara and to provide as much of a fair and fun experience to all players as possible, that the Cyntara Store should no longer contain end-game or high-tier items that can be obtained effortlessly. This will close a gap between "donors" and "non-donors" have has existed in nearly every version of Cyntara since its inception. With Cyntara v10-s2, we have also increased the number of opportunities to utilize the Enchantment System. We have also made balance adjustments to the Weapon Upgrader Crystals to better align with v10-s2's gameplay flow. The Development Team is looking forward to seeing how players navigate the Cyntara world on a much more "even" playing field and adapt to using equipment earned based on their own efforts. Part 7 - But Wait, There's More! The Spectral Awakening - A once prosperous and flourishing island was devastated by a meteorite and brought to rubble. The island and the small city residing on the island were not only left dilapidated, but fierce demonic forces were formed from the remaining energy of the fallen star. Quickly these creatures increased in strength and some even took on new abilities; the few remaining souls on this island started referring to the creatures that now inhabit the formerly beautiful landscapes as the "star fallen". A powerful and brilliant Necromancer by the name of Shavras Morte is one of the few to be able to survive in this land, and his research is brewing. The Forge of the Titan - A cabal of ancient dwarves have been in hiding for millennia. They have been creating a monument to their Titan. Recently, a group of travelers have discovered the ancient dwarves' monument, and subsequently their home; it was recently discovered that the ancient dwarves have developed a device that can store magic and that they are attempting to resurrect their Titan in the flesh. Can the Cyntarists stop the ancient dwarf spiritcallers before they can create the Titan? Daily Login Rewards - The Cyntara city has a new face in the streets, and her name is Elise. Elise enjoys visitors, and as a reward for visiting her daily, players will be allowed to receive a bonus every day by speaking with her. Who knows, if you don't skip days, you might be rewarded even further for your consistency! Rotating Bosses - A few new boss monsters have made their way into the Cyntara world and are taking turns challenging Cyntarists. The boss will take on new challenges for a set amount of time and then it will de-spawn and a new boss will take its place in a separate location. While the boss is visiting the gameworld, players will only be able to battle it indefinitely, but only loot it once. When the boss eventually returns to the gameworld, players will be able to loot the boss once again. Please check out the full Changelog for an extensive list of changes and updates. Please report all bugs found on the Bug Report Thread. Posted by Red on 12/18/17 10:02 PM.